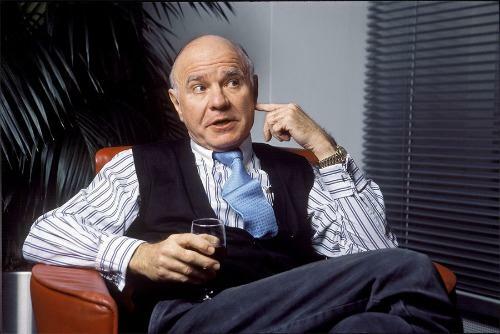 Well-known market commentator, contrarian investor and gold bull, Marc Faber, is coming under fire for comments made in his latest missive for the Gloom, Boom & Doom Report. “The recent comments by Dr. Faber are deeply disappointing and are completely contradictory with the views of Sprott and its employees,” said Peter Grosskopf, CEO of Sprott. Faber also sits on the board of Vancouver-based Novagold Resources which is advancing the Donlin project in Alaska and Robert Friedland's Ivanhoe Mines which has copper projects in the Congo and precious metals investments in South Africa. Ivanhoe Mines' values of equality, respect and dignity for all people are a fundamental underpinning of the company’s enterprise and the conduct of every aspect of its business. There is zero tolerance for racism. Ivanhoe Mines disagrees with, and deplores, the personally-held views about race that Marc Faber has published in his current investment newsletter. Novagold announced Faber's departure from its board in a terse statement on Tuesday afternoon noting the resignation from the board is effective immediately.